Discover the magic of the popular fairy tale with this wonderful preschoolers brain teaser. Can you help Little Red Riding Hood find the right path to her grandma’s house? 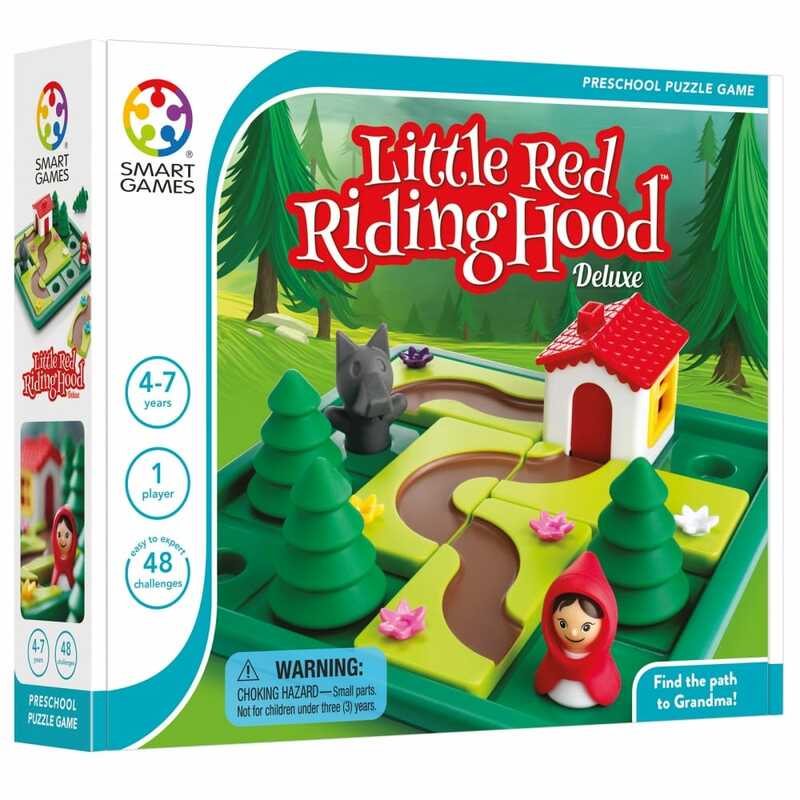 Place Little Red Riding Hood with the house and the trees on the game board and use the puzzle pieces to make a path to Grandma’s house. Then you can play the game with the Wolf, but beware, he might get there faster than you! Try to solve these challenges by making two paths to Grandma’s House one for Little Red Riding Hood and one for the Wolf. Puzzle game includes 48 challenges (24 with the Wolf and 24 without) also features a family friendly picture book with a modern twist on the original story. Sturdy well made and washable puzzle for children. A child can enjoy working out the paths. A bit like some games on line. Hope my grandson likes this.Not a puzzle to play with other children though.